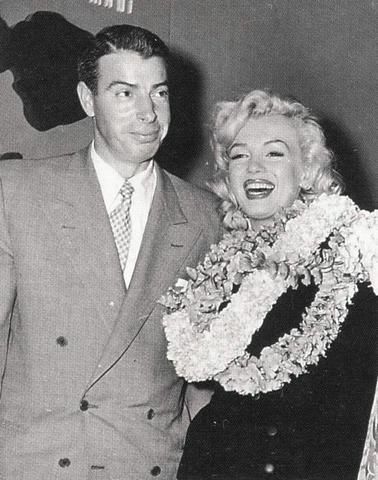 Were Wedding Bells To Be Rung Again? 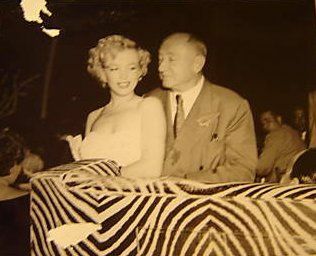 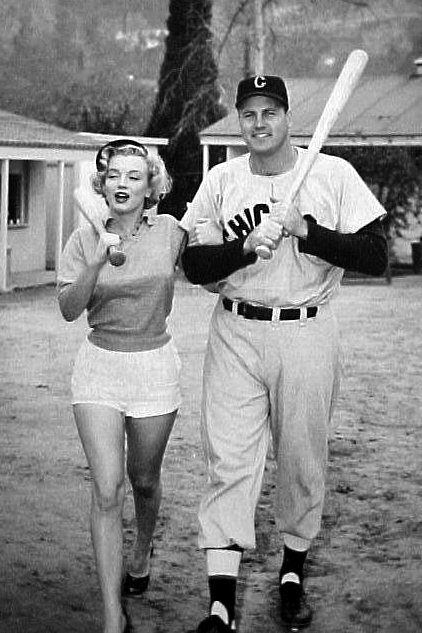 Marilyn and Joe. 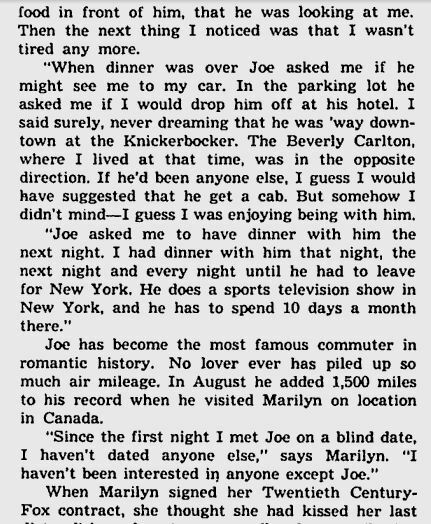 A love story as old for the ages. 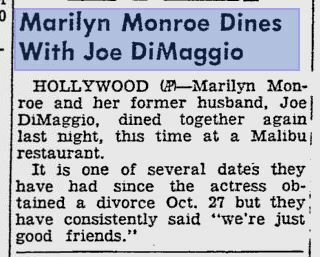 Marilyn and Joe meet on a blind date and continue to see one another for two years before getting married. 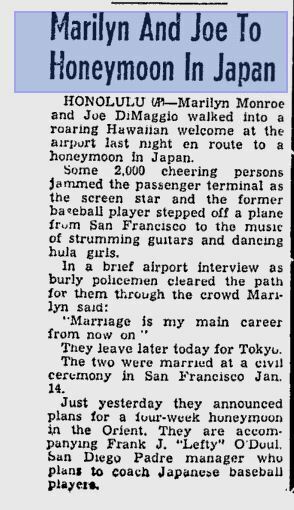 They stay married for nine months and then parted ways. 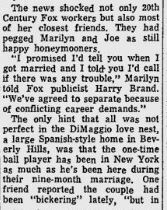 Marilyn remarries and Joe continues to pine. 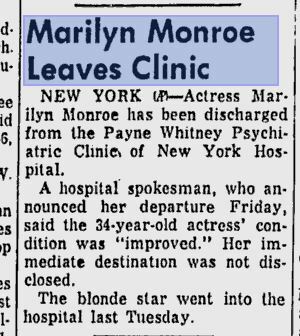 Marilyn leaves a disastrous relationship with Arthur Miller and is put into Payne Whitney a month later. 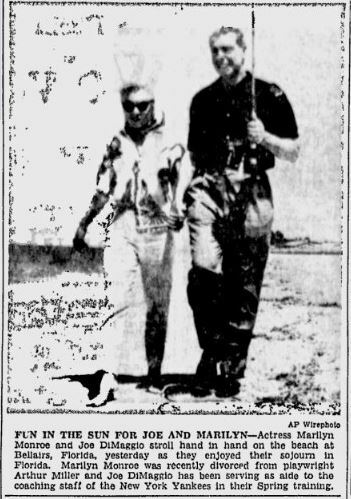 Joe comes in on his heroic steed after almost 6 years of no contact and rescues Marilyn from her confinement, much like the fairy tales of old. 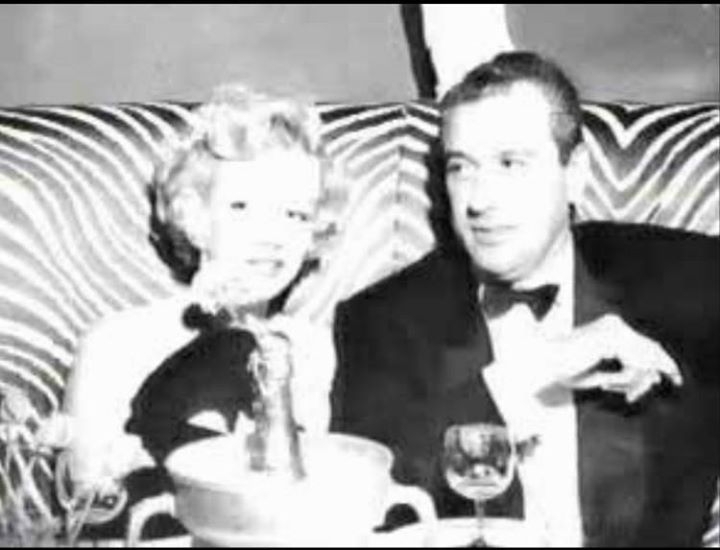 This as we all know does not mean they lived to be happily ever after. 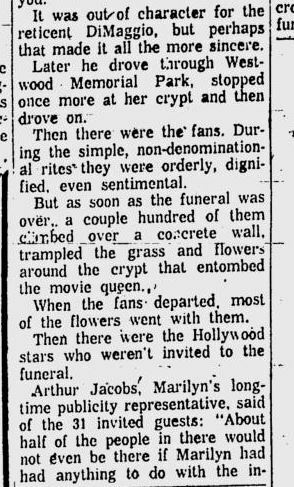 In just a year and a half Marilyn will die and be buried on the day of their remarriage. 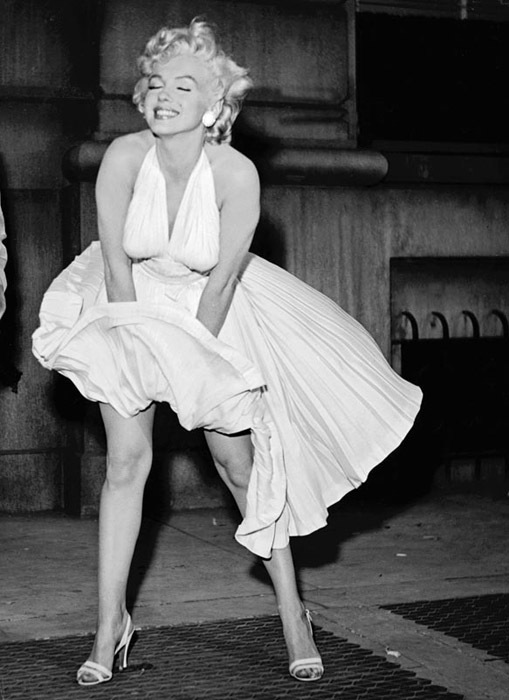 Or at least, that’s what we have been told. 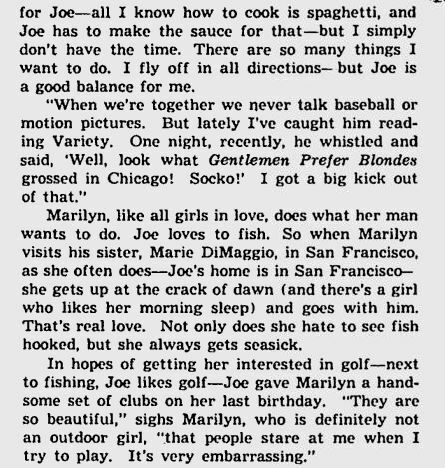 The first murky part of this story is actually when Marilyn met Joe. 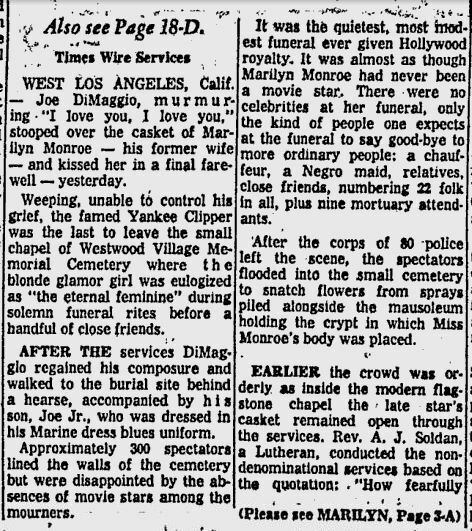 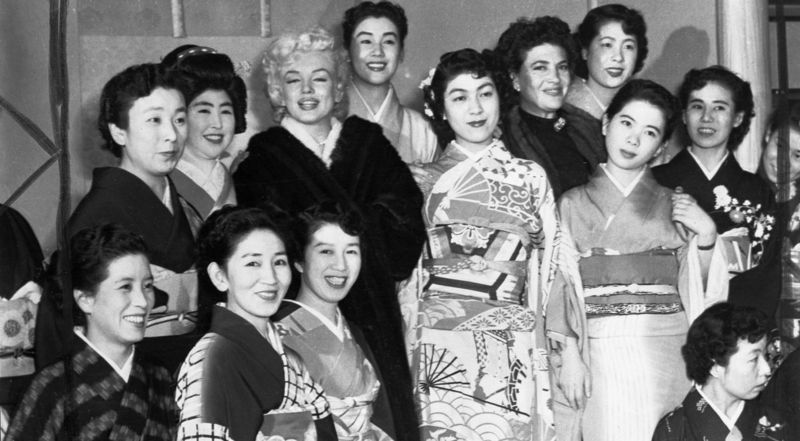 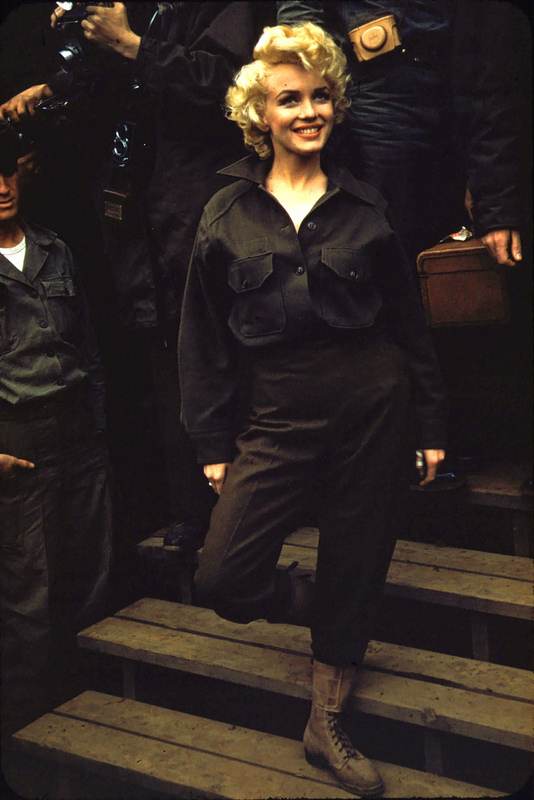 The above photo was taken between August 20-26th 1951, when Marilyn went to see Carol Channing in”Gentlemen Prefer Blondes”. 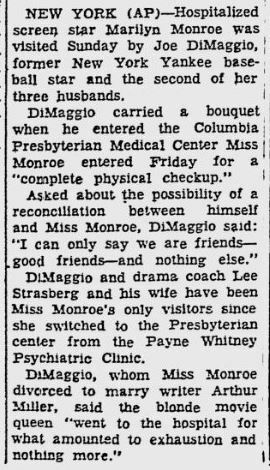 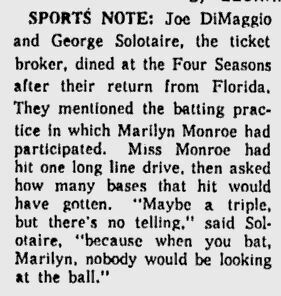 According to Morris Engelberg, Joe DiMaggio’s attorney in his latter years, Joe, Joe Nachio, and Joe Nachio’s son told him that Joe met Marilyn at the Roosevelt Raceway’s dining room. 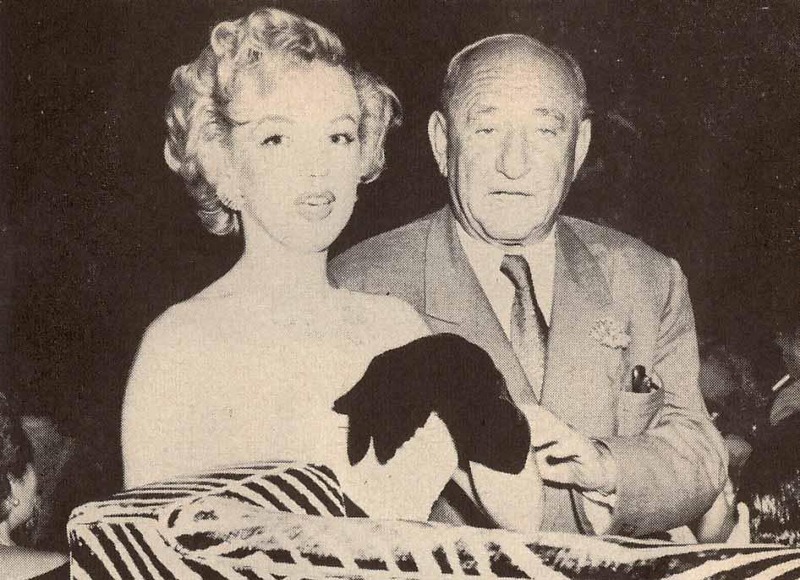 He was introduced by another friend, Edward Bennet Williams, and he instantly recognized her from her photos with Zernail that were ran on March 8, 1951. 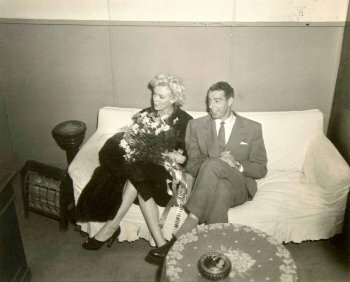 Williams invited Marilyn to join him and Joe for dinner at Toots Shore’s the following evening. 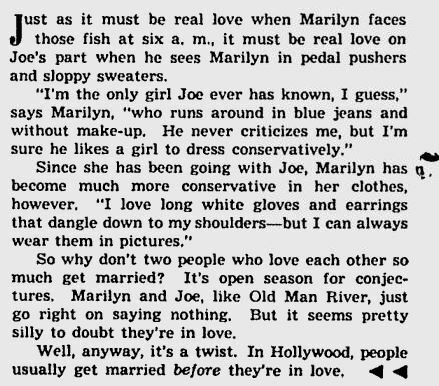 The idea of Marilyn and Joe meeting in 1951 is also supported by Lilla Anderson in a January 1955 article for “Photoplay”. 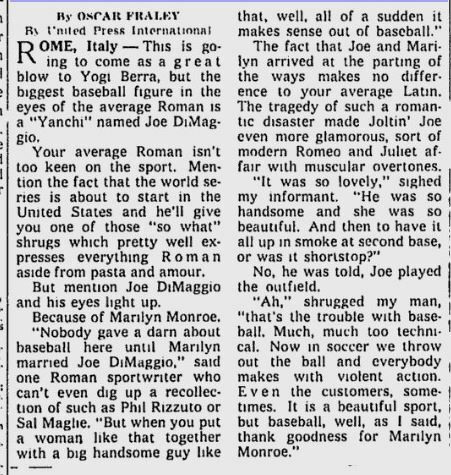 Thanks to Ron Steens for providing this article. 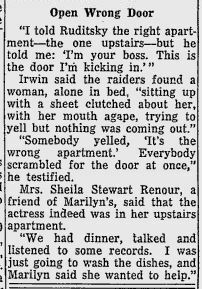 Here, on the other hand, is the famous retelling we all know and love from Marilyn herself to Liza Wilson on December 6, 1953. 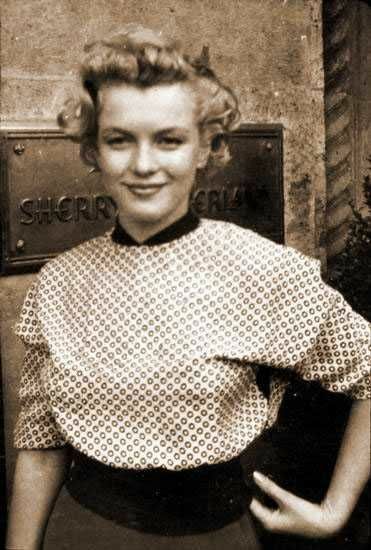 So what is the truth? 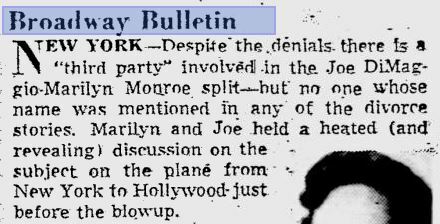 With no pictures to confirm a meeting in August of 1951 it is hard to say that they met then, however; it’s not improbable. 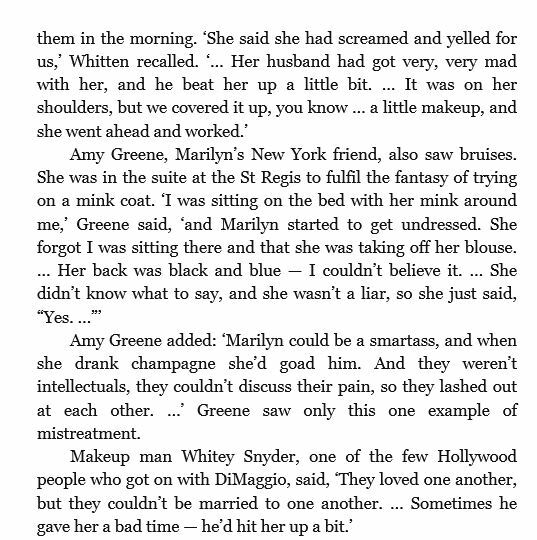 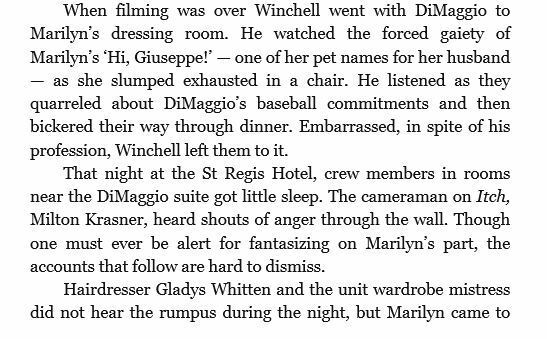 Interview snippets from Anthony Summer’s “Goddess” about what happened after the dress scene was filmed for “The Seven Year Itch”. 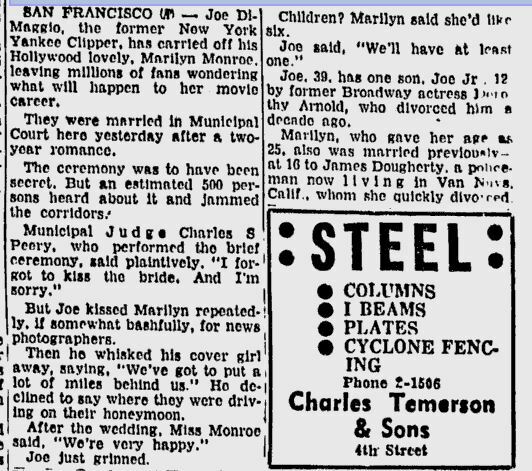 You’ll notice how there is no talk of a remarriage in any of the clippings above. 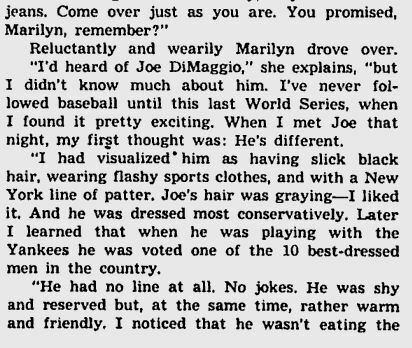 Those rumors start much later and to my knowledge were first printed in Maury Allen’s 1975 book “Where Have You Gone Joe DiMaggio?” from his interview with Monette. 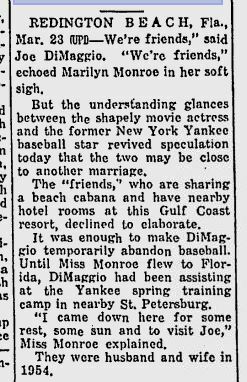 Monette gives no dates and says that “Joe thought that she had finally agreed to leave the movies and remarry him.” The date of the eighth appears to have originated with Spoto who gives no sources for the actual date. 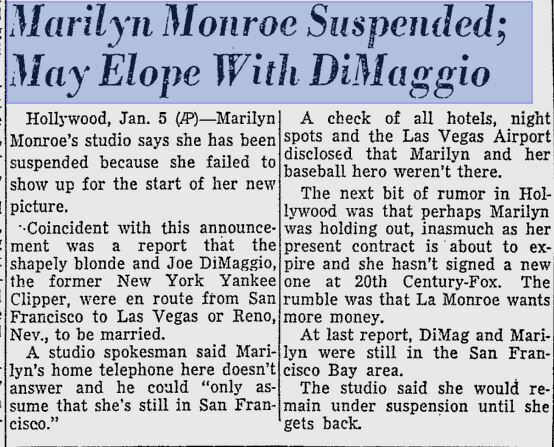 It should be noted that Spoto use an antique’s dealer’s testimony as proof of a remarriage yet says that Marilyn wanted to keep the news private. 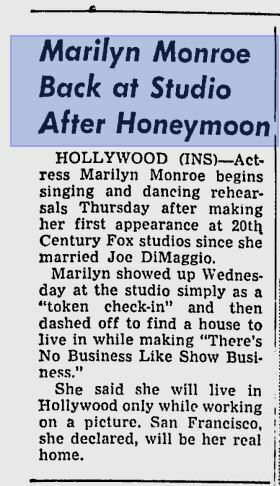 Knowing how private Marilyn was, it seems very unlikely that she would tell a random person that she was going to marry “someone I have married before”. 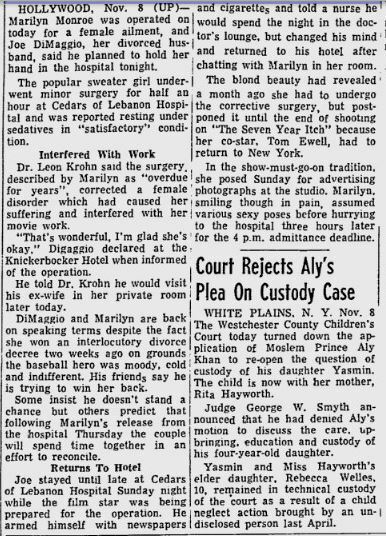 Spoto also uses a statement from Elizabeth Courtney, the assistant of Jean Louis, as testimony to Jean Louis designing a wedding gown but careful reading finds that Courtney says nothing about a remarriage. 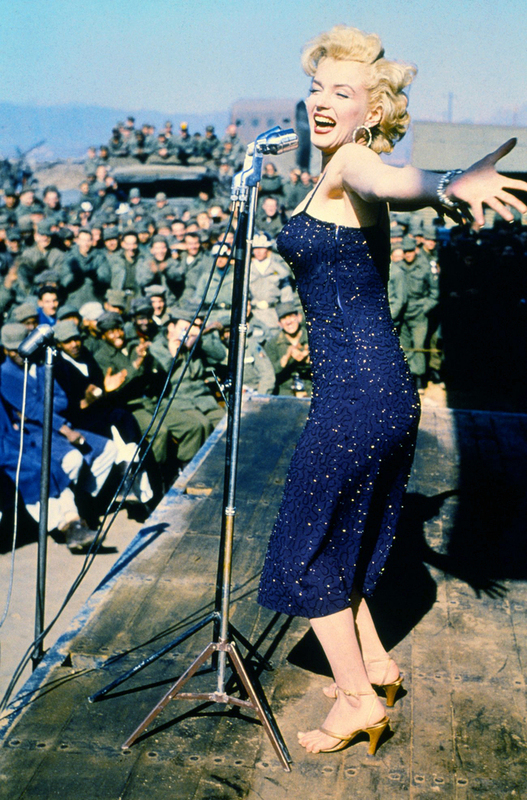 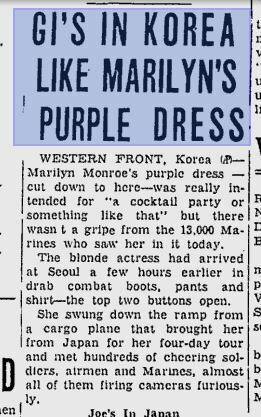 Instead she says that Marilyn was “so happy” about the fitting of another Jean Louis gown. 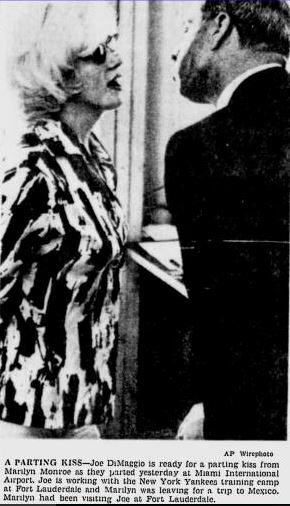 Further investigation finds that this gown was actually being designed for another Kennedy event that was to happen in September. 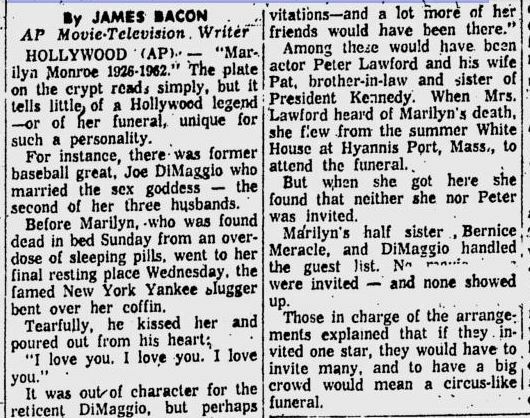 That event was to have Jackie present. 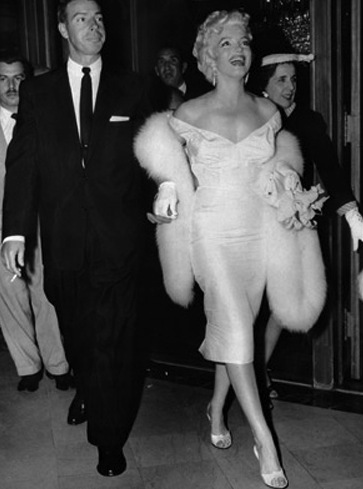 There is no record of a wedding gown being designed by any designer for Marilyn at the time of her death. 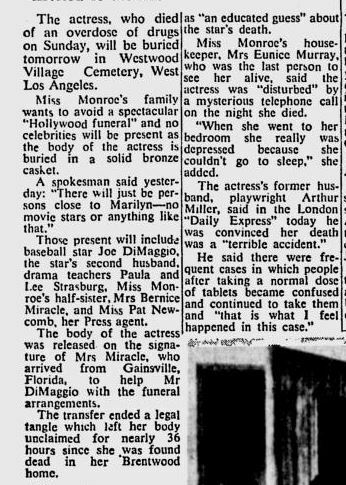 The most common thing I see people citing as evidence is this letter that was found folded up in Marilyn’s address book. 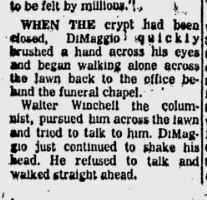 The issue with this is that A) It obviously wasn’t sent and B) There is no date. 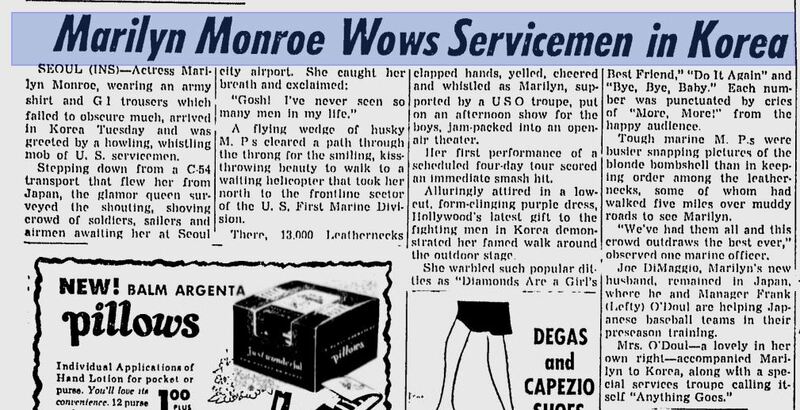 We have no idea if Marilyn wrote this the day she died, a week before she died, or 6 months before she died. 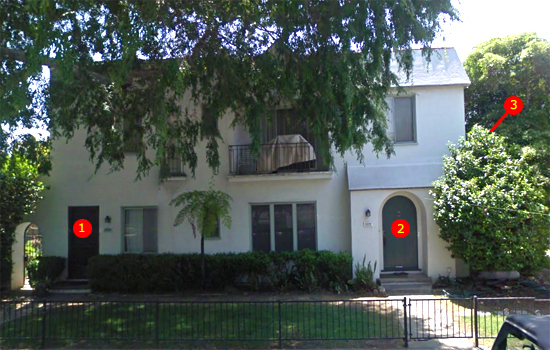 It also isn’t finished. 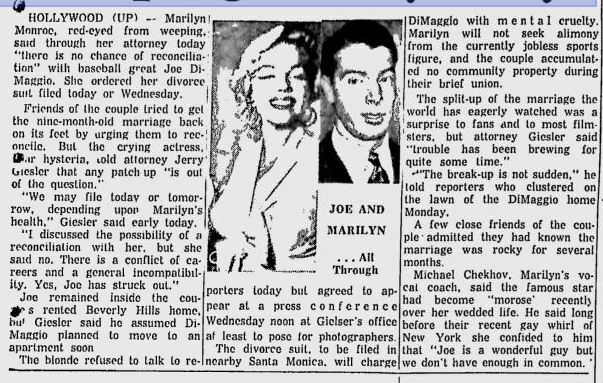 We have no idea if this was going to turn into a “Dear John” letter or if it was going to go on and say that they should be remarried or if it was going to say that she loved him but she was happy where they were relationship wise. 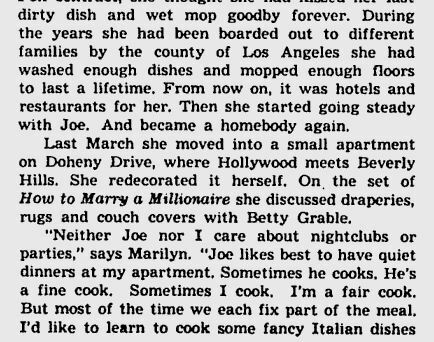 There are so many avenues that this letter could have taken. 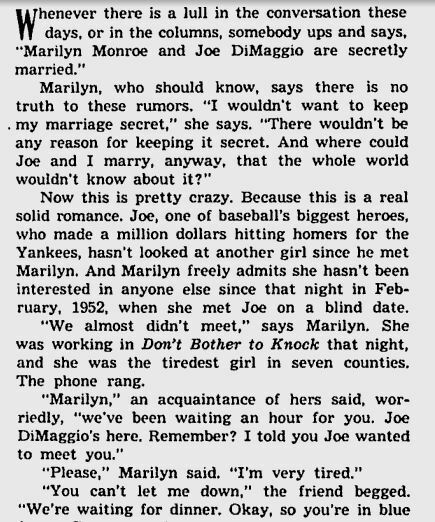 Sadly, while Joe’s love cannot be contested, there is no reason to assume they were getting remarried besides second and third hand testimony, creative spins from authors, and reading into items and events. 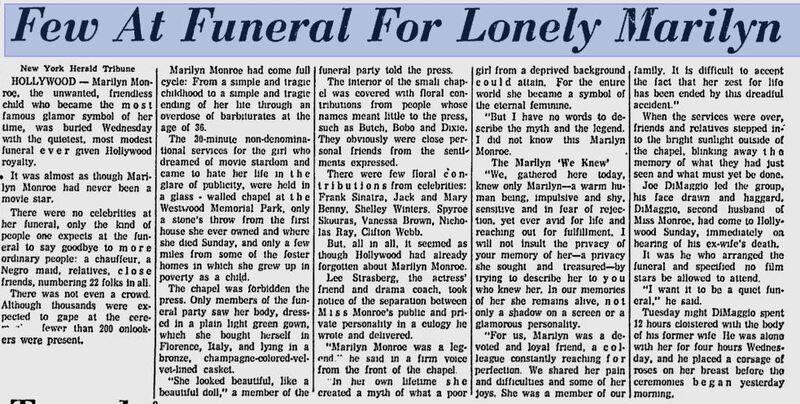 The only safe thing we can say is that they were friends and possibly seeing one another romantically from 1961 until her death. 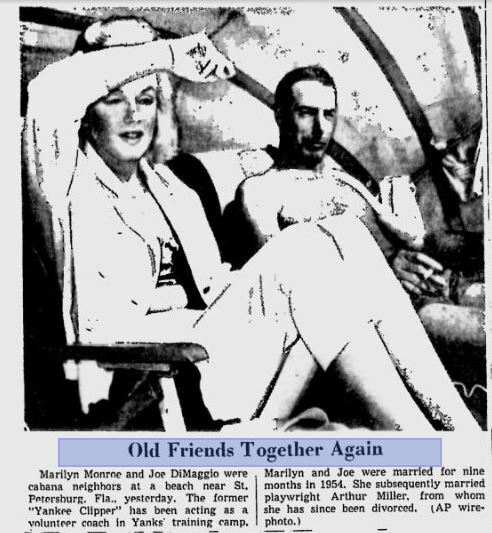 How this has turned into them getting remarried is beyond comprehension for me. 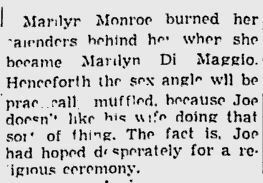 It appears that the remarriage of August 8th has become another story to make her life much more tragic. 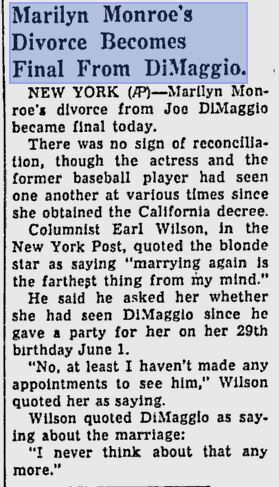 A lovelorn Joe forced to bury his true love on what was supposed to be the day of their remarriage makes for a great story but sadly one without merit.